my name is fragmentz … and as well as being fat (see a previous post) there was a time in my life when I wanted to die. A few times in fact … but one very clear time that I will never forget about … when there was no other option than to die. That one time was more than ‘wishing’ or spending time planning or thinking about … this one time was about acting on that wish to go. obviously … here i stand, by the grace of God if you believe in Him (which I do) or by sheer luck or fortune if you dont. So for me, it didnt work. And at the time … I was gutted. Devastated. Some people have the view that if you dont ‘successfully’ kill your self when you try then you didnt really mean to do it, and that you were just crying out for help. I disagree with that whilst acknowledging that for some people that may be the case. For me it wasnt. I had tried the call for help. Numerous times. I had tried many many things. I had gone beyond wanting help. I wanted release. The end. Why am I writing about this? Again, some of you may say, as I have written one or two blogs over the last few years about my experience. The reason is because I can. And for that, now, I am thankful. Why am i writing about this today/tonight? That would be because since Sunday all day and today I have been reading some very beautiful writings by some beautiful people about a beautiful person. Gary Speed. A former football player turned manager. Who sadly committed suicide so it would seem over the weekend. I dont know Gary, in fact I know very little about him, other than his job role and family status, oh and the fact it would seem there was something very dark going inside of his life that not many if any people knew about. This past week has also seen the apparent suicide of Angie Dowds, a celebrity fitness trainer, known for her role as a joint trainer on the UK version of ‘The Biggest Loser’ … a determined, strong and inspiring person to many. She also, for some reason, and who may ever know the real reasons why, felt there was no other option left to her other than to die. So, the internet has been awash with tributes/tweets/blogs/reflections/thoughts. Its been over the news, over facebook, over the twittersphere. Famous people, celebrities, friends, family, fans and other folk have all come out to pay their respects. To give humbling and heartfelt reactions to the deaths of people who meant much to them. And of course … the topic of mental health … depression / suicide has been bought to the front of peoples minds. Its been very interesting seeing it happen. Seeing the discussion, the empathy, support, the kind thoughts, and well meaning comments to the families effected by these two peoples passing, but also the whole on the topic of people wanting to kill themselves. I whole heartedly advocate talking about it. And it feels uncomfortable to say but it has been heartwarming to see the responses of such tragedies. People not shoving it under the carpet. I was touched hugely by the article Stan Colleymore released via his twitter … click here to read his thoughts . A very brave peice and I admire him greatly for putting it out there. A few years ago, there was a documentary on the television about depression in the sporting industry and I remember writing at the time how indiscriminate mental health illness truly is. How indiscriminate depression truly is. How at any time it can surround any person. Rich, Famous, Poor, Not Famous, Fat, Think, Black, Green, White, Mothers, Daughters, Professionals, Sons, Fathers. Anyone. The list is endless. It could be anyone. It could be you. It was me. And how life changing has it been. I am never going to be as poetic and eloquent in my words as some of the other blogs I have seen and read over the last 48 hours whatsoever, I am not even going to try. I dont think right now its needed particularly as so many other people are doing such a good job of describing their experiences. And I suppose that is what is on my heart/in my mind this evening as I write this … depression is such a far wider thing that what we sometimes imagine it to be. It effects more than the person who has the illness. It effects so many different people, and even after maybe the final act is committed, for those people that isn’t the end. At I guess part of me feels that right now, this topic is being discussed hugely, probably because its effecting the famous the publicised, the people who make it into the papers (I am not intending this to offend whatsoever so apologies if it does to anyone) and that no doubt, as the headlines fade away so will the discussion … or the majority of the discussion, because for some of us there is always the discussion (there are some amazing mental health bloggers/writers out there). 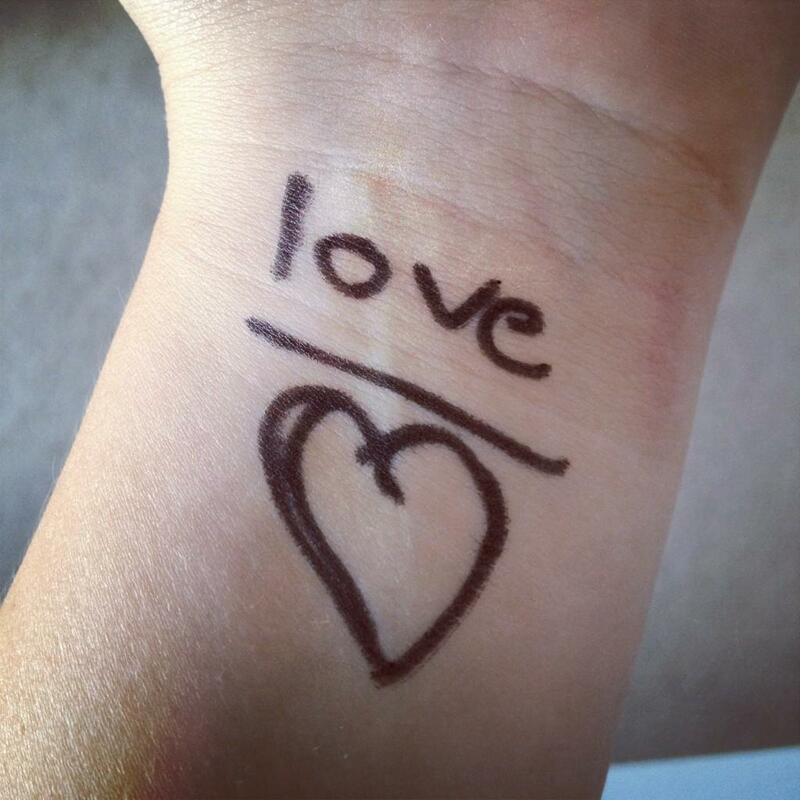 But it doesn’t fade away for the millions of people who are out there struggling tonight. as I write this, it does not fade away for the people who go to sleep this evening wishing that they didn’t have to wake up in the morning. It does not fade away for me. Yes, I am alive, yes I have come a long way from what is almost four years ago, from the time when I went to sleep having hurt my self significantly to not wake up again … (trust me, it was a shock when i did). And I am glad I did. Wake up. I am glad that I have amazing people in my life who stand by my side as I walk this journey of learning to live again, learning how love, how to laugh, how to enjoy life. Some days are good. Some are not. The not days however are not as bad as they were. For now. But I live under the cloud .. all the time, as do many millions out there … the cloud of depression, of mental health illness. The cloud of being precariously balanced on a ledge of normality waiting for it to spike, to go into overdrive, or waiting for it to tilt the other way into a pit of despair that one can only claw to try and get out of … its my hope and prayer that I never have to experience how bad life was then again … but who knows? Because its so much more than just ‘being sad because …’ or ‘having a bad day …’. I really want to encourage people who have been moved by the death of a sports personality, or anyone and RIP dear Gary to have the courage to continue the thinking of mental health, and how you see it. How you are affected by it. How you engage with it? Keep the conversation going … because it needs to be talked about. It needs to become less of a stigma and the only way that can happen is through awareness and people continuing to speak out, write about it, be honest/open and make it the very real thing that it is. If you or anyone you know is struggling with depression/mental health illness or thoguhts of suicide, please please get help. Hope this blog finds everyone well. I am always honoured that people come by and read the stuff i have to say. I hope you have enjoyed the last couple of blogs, about Greenbelt. just to let you know, I have a third and final Greenbelt blog to post, which will come in the next few days. However, today I want to write about something else. Because today, 10th September 2010 is World Suicide Prevention Day. I am sure, that there are lots of blogs out there being written about today, and about this topic, so my thoughts may be nothing original or new /different or profound, however what they are is something personal to me. I am no expert on this topic (or any other for that matter) and so all I have to go on is experience. The experience of losing someone I loved, respected and had a lot of time for to suicide, and the experience of being in a place myself that felt like the blackest of black holes and no way to climb out of it, other than to think the best option was to die. I was a young teen when we got a phone call, and my stepdad answered it. I knew then that something was wrong. He sounded serious. He often does, but it was a different kind of serious, and as he walked into the lounge, I knew in my heart that something had happened. As soon as he said A’s name, I put the pieces together, and knew. I don’t think I actually heard my stepdad telling me what had happened through the tears. Turns out, that A had felt he couldn’t go on any more. That was my first experience of the thing they called suicide. At that point, A was someone I trusted. He had been my youth leader for some time. Someone who hosted BBQ’s, who listened to my teenage woes, who talked me through issues when they were too much for my head to deal with. And to be honest, when i was that age I was a bit of a self absorbed. So much stuff was going on in my home life, with my brother being very unwell and a drug user, and issues with my biological dad as well, I kinda looked up to A, to be there, and had no real idea of what was going on behind ‘his smile’. The first I knew all was not so well was when he was admitted to hospital. for help. It didn’t. I cant profess to know what was totally going on in his head. What his thoughts were. I cant profess to really know how his wife felt, and how his children coped, being very young and now beautiful young adults themselves, but dealing with the loss of a father they can only have a few memories of, as they were so little back then. I cant profess to know how his close friends felt. The only thing I do know is that, for A, at that time, there was no other way out. None. It was his way out. April 2008 – I even remember the date exactly. My life had slowly fallen apart, over a period of a few years. I was physically unwell, and mentally in a mess. I was trying to hold on to little strands of hope, and every time I thought I had hold of one firmly it was snipped away, cut in half, broken. I once wrote, on this blog, about feeling like a vase, being broken, into tiny tiny shards of glass. And each time glass was broken, I would think it couldnt break any more, but it did, until eventually it was a dust. Eventually, so broken there is nothing left. Thats how i felt. thats how it was. Its very hard to explain, because I dont know who is going to be reading this blog, and what your views are. Its hard to describe to people just how much pain and torment you can be in. Its hard to put across, that actually, there really is sometimes no way out. I didn’t know where to turn. i couldnt see a turning. a right, a left, a forwards, or even a backwards. I couldnt see anything. Well i lie, i could see something, it was hell. It wasnt something I could just ‘pray’ myself out of. It was not something I could just ‘get a grip’ out of. It wasnt something i could get out of without making sure I went to sleep, not to wake up again. And , so to that end, thats what I chose to do. and took enough of the stuff I did to make sure I didnt. Thing is , for me, I survived. Thats a whole different blog/story in itself, for another time. But i survived. It hasnt been easy since, but two years on and life is moving in a different direction, I am learning to live again with the help of some lovely super people, learning to love again, learning to smile again, and although the process is long, and sometimes very tiring, rebuilding life. and thats a good thing. As part of that process, the last few months have seen me become more involved in supporting people with issues I myself have experience in. It involves chatting to other survivors of child hood abuse, it involves speaking out about stuff, it involves having a voice. And sometimes thats exciting, sometimes its scary too, but an important thing. Thing is, the way I see it, is that its important that peoples perception of issues are challenged. Especially, issues such as suicide. Its important people are not afraid to talk about it. Its important for people to know we’re not freaks, and neither are the people who have gone before us and have not survived. Its also important to acknowledge the pain and heartache suicide causes. Which is why I have rambled on above. To this end, today, on world suicide prevention day, at 8pm, in just a little while in my time zone, I shall be lighting a candle, in memory of those we have lost, those who have survived, and those who are affected by it. I hope you are able to join me, and if you read this when the time has passed i encourage you to say a thought, or a prayer, or something in your own time. Also, if you are struggling, the samaritans number is – 08457 90 90 90 – please give them a call, and i urge you to seek help.